(BPRW) YOUTH WEIGH IN ON “ME TOO” MOVEMENT AT THE 8TH ANNUAL REV. DR. MARTIN LUTHER KING DAY SYMPOSIUM | Press releases | Black PR Wire, Inc. Event Chair, W.I.S.H. Foundation, Inc.
(Black PR Wire) MIAMI, FL -- WHAT: The Women Involved in Service to Humanity Foundation, Inc. (W.I.S.H Foundation, Inc.) in partnership with Alpha Kappa Alpha Sorority, Inc, Gamma Zeta Omega Chapter presents the “8th Annual Rev. Dr. Martin Luther King Jr. Youth Symposium” on Sunday, January 20, 2019. 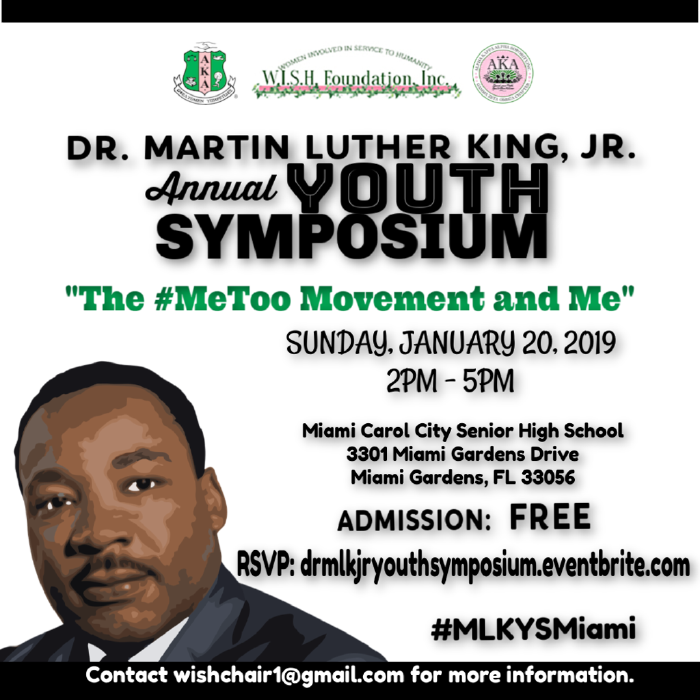 The purpose of the event is to connect with the youth in the community to provide a forum to engage in dialogue, with adult facilitators and their peers, that connects modern issues with Dr. King’s teachings. This annual event hosted in partnership with Alpha Kappa Alpha Sorority, Inc, Gamma Zeta Omega Chapter anticipates welcoming up to 400 youth participants. The Dr. Martin Luther King Jr. Youth Symposium will continue to offer this opportunity to the youth of our community. There will also be a facilitated Parents Dialogue on the same topic and how to support their youth. The event culminates with a feast dubbed by Dr. King as the “Sunday Supper”. Leigh Toney, Chairman, W.I.S.H. 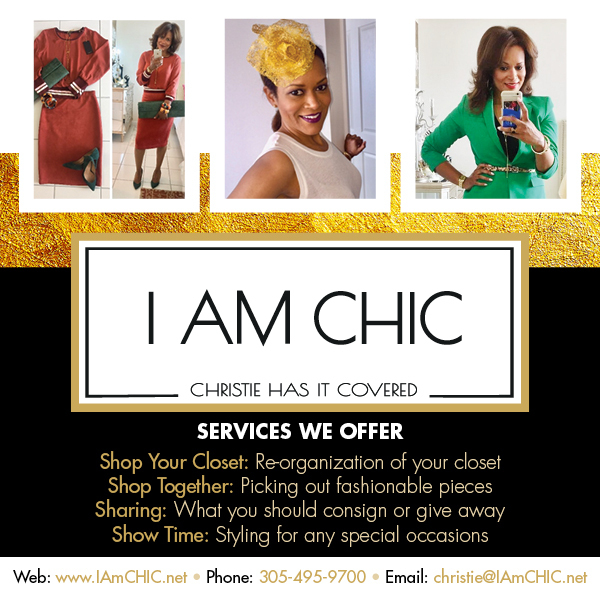 Foundation, Inc.
Cynthia Mitchell Clarke, Ed.D, Event Chair, W.I.S.H. Foundation, Inc.